Our elegant monogrammed shower curtain from Jane Wilner Designs will have your bath looking like a magazine cover. 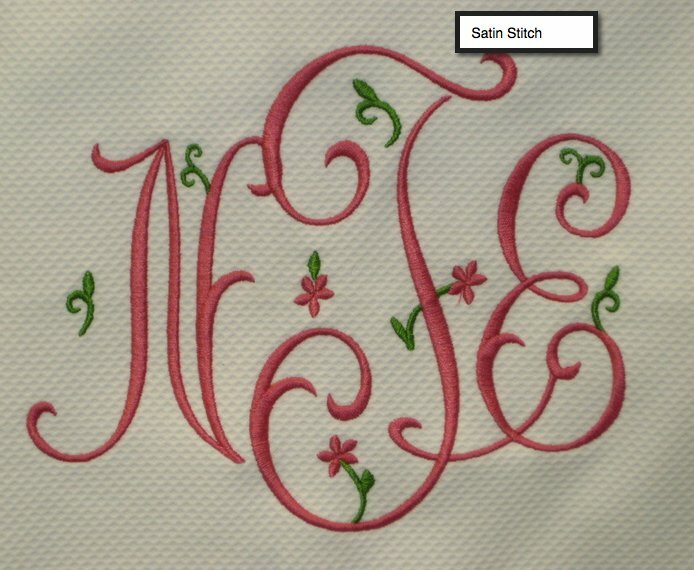 This is an order for a monogrammed shower curtain from Jane Wilner designs. Jane is famous for her magic touch with the large monograms and custom fret work edges on her linens. We love the fretwork trims with the colorful material tapes used. 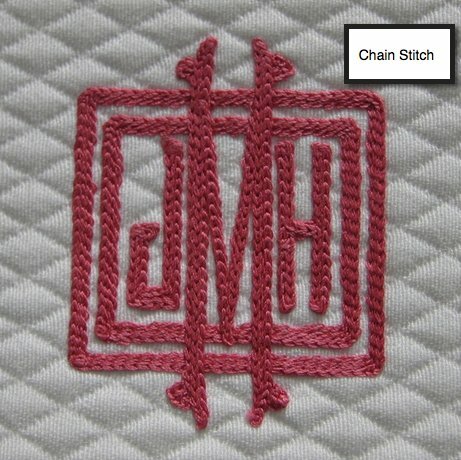 The monogram will measure 12 inches threads can match your trims. First, choose your color bases for your shower curtain. Then you choose your edge choice. Tape choices will have the tape trim. Embroidery edges will use the thread you choose for your font. The plain hem will have no edging but will just have the shower curtain hemmed as the edge. The shower curtain will measure 72 X 72 inches, custom shower curtain lengths are available. Please add the measurements in the comment section and we will add 30% cost to your order once it is approved. Please allow about 6 weeks for your shower curtain to be made. Button hole closures are at the top edge for hanging. Price: $365.00 In stock! - Browse this brand: Jane Wilner DesignsOur products are custom made to your specifications. This product ships up to 7 weeks after your order is placed. Choose a pattern for your shower curtain. Notice that you can use the tape options for the fret work, scalloped, and single lines of tape options. These options need you to choose a tape color. The other options will use an embroidery trim. If you choose embroidery trim please choose and embroidery thread options. 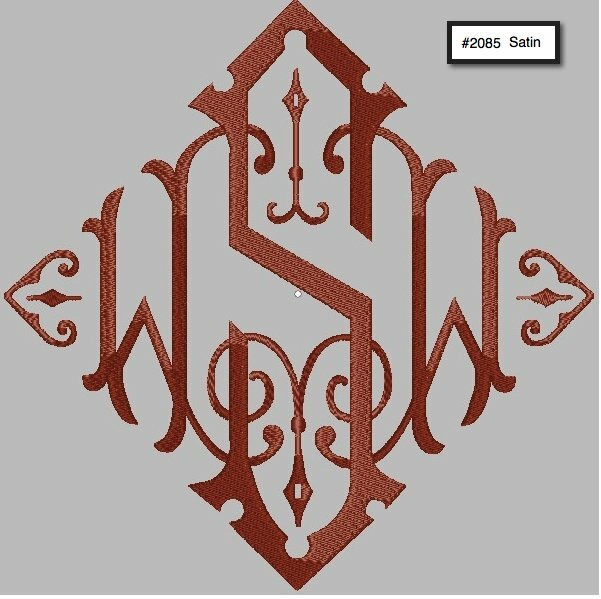 We will always match you monogram to the trims. Please note we can do custom length and width- Please add this in the comment section. There will be a 35% upcharge for customer width and length- We wiill contact you after you order for the extra charge.